Photography Essentials – This one is my “small” Photography circle of people I mainly found in the beginning about one year ago. These are people whose posts I don’t want to miss even when I don’t have time to look at all the other circles. Don’t be angry if you’re not in there – there are two more much bigger photo circles coming up after this! Photography Two – The second part of my “big” Photographer circle. I had to split it to be able to share it because of the 500 user limit. This second circle is the one I constantly add new people to and maybe I’ll post an updated version once in a while! Science, Space & Astronomy – One of the other things I try to get involved in, or at least promote, is everything about these three fields and for this reason I have a hand-picked circle with everything about science, spaceflight and exploration and astronomy around. It’s a relatively low-noise group, but everyone from space journalists and scientists from the CosmoQuest / Universe Today crowd, many astronauts and a lot more people are in there. If you want even more, have a look at Fraser Cain’s Super Science Circle, on which my circle is, of course, partly based on. I was debating about posting this, but since +Scott Lewis has already shared another version of the song, which is sadly blocked here in Germany, over on Google+, I’ll just do it too with an alternate working link. I think White Wine in the Sun is one of the greatest modern Christmas songs ever written and expresses my feelings about the season perfectly. I know that Tim Minchin can be pretty caustic when it comes to Religion, but this is definitely not one of those songs! This video is a fan-recorded version from the end of Brian Cox’ and Robin Ince’s Uncaged Monkeys live show from 2011 at the Brighton Dome and features Professor Brian Cox at the piano and Tim Minchin on guitar and vocals. If you’re still here at this point, you can also watch one of my other favourite Christmas songs called Woody Allen Jesus, also from Tim Minchin. This one actually caused a lot of controversy when exactly this performance on the Jonathan Ross Show was cut out at the last minute out of the TV broadcast by the ITV bosses in 2011. Tim Minchin himself uploaded it onto his own Youtube account, this upload is just one with a corrected aspect ratio. There are other performances around, but I think this original is the best and freshest one. And maybe something more traditional in closing: Pamela Gay in her alter ego persona Pamela Quevillon has recorded a wonderful reading of a less known Charles Dickens story called The Christmas Tree. And with this I wish everyone Happy Holidays again! 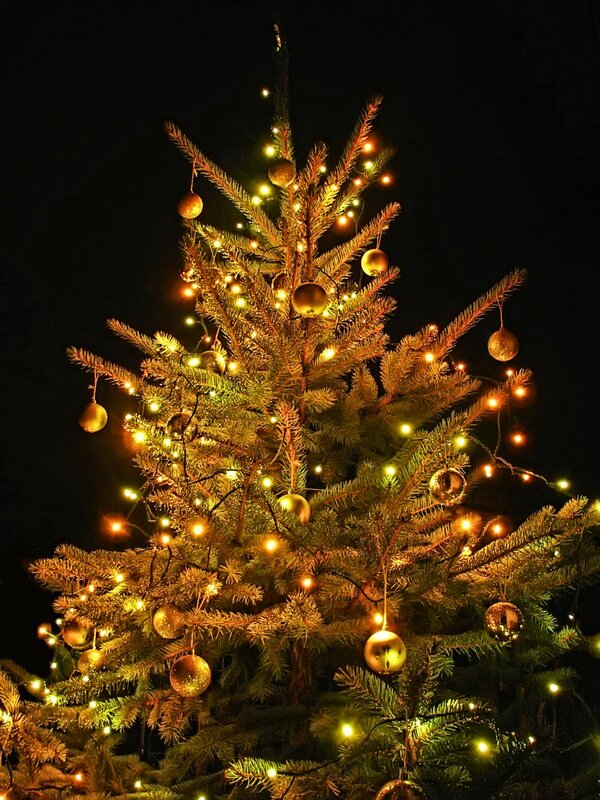 I’d like to wish all family, friends, regular readers, commenters and all other visitors Happy Holidays, Merry Christmas, A Happy New Year or any other holiday greetings you prefer! 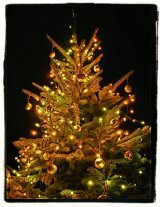 Myself, I like Happy Newtonmas because Isaac Newton was born on December 25th, but I’m very democratic in that respect. At this time I usually write a longer retrospective article about what’s going on here on the websites, but I think I will skip it this year and just say that the last twelve months may not have been very productive from my angle, but it was still a blast. I’ve written lots of blog posts about a multitude of things here, posted several daily photos over on the Photography Blog and the only thing I didn’t really manage is write more movie and dvd reviews over on DVDLog, but since I’ve been busy everywhere else including Google+, I think that can be excused. Connecting to other people all over the world via social networks has been a lot of fun this year – especially the photographer and science communities on Google+ are amazing to say the least. Oh yes, and I’ve begun to switch my websites completely over from German to English, a process which has still not completely finished. Instead of taking a complete break between the holidays, I’m only going to put DVDLog into a winter hiatus until February and keep on posting a few photos and collected galleries on the Photo Blog. 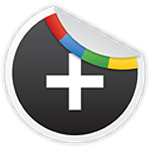 I will also be sharing some of my Google+ Circles over the holidays which I will afterwards collect here in a blog posting sometime at the end of the week. In a more leisurely and relaxed time, there will also be new and updated version of my hangouts and podcasts recommendations with some special thanks to all the wonderful people who have been tirelessy creating amazing content all year. So, have a nice and relaxing winter holiday, everyone – I’m going to be semi-around in the next few days and will be taking everything very easy. After showing the Commodore disk and tape drives I think it’s now time to have a look at the computer itself, the venerable Commodore 64. The one you see in this photo (as usual, click on it to enlarge) is my actual own C64 from March 1989. This is of course the newest and last ever produced version, the C64C or C64-II with an optimized mainboard and the streamlined case modeled after the C128. The first incarnation of the new model came out in 1986 and this slightly modified version with a differently labeled keyboard and a modernized mainboard was sold from 1987 on. 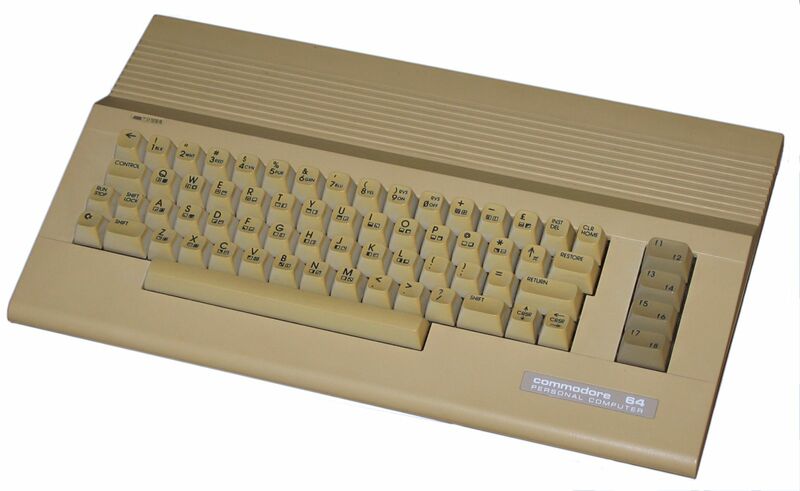 At that time the computer was already nearly five years old and had been long technically overshadowed by the Commodore Amiga, which debuted in 1985 – but the C64 proved to be so popular that it was still in production until 1994 when the company itself collapsed. There’s so much happening in spaceflight and astronomy at the moment that it’s really hard to keep up, but I just wanted to write a final posting on the subject before the end of the year. The landing of the Chinese Moon probe Chang’e-3 with its Yutu rover, the Jade Rabbit, on December 14th was the most exciting event since Curiosity in 2012. The landing was actually transmitted live by the Chinese state television, but what’s so exciting about a Moon landing – they happen all the time, don’t they? Actually not – this was the first soft landing of a human spacecraft on the Moon since 1976, that’s slightly longer ago than my own lifetime! So seeing the landing play out live was amazing to say the least. Since the landing it has been a bit difficult to get first-hand information, but Emily Lakdawalla from the Planetary Society has done a great job of gathering the news, images and videos together, like the first colour photo, an extensive translation of the recent press briefing and yesterday’s update about the healthy rover and NASA’s LADEE orbiter not noticing the landing at all and a first panorama, still made from low-quality screengrabs. And of course there’s the absolutely awesome landing video, which was put together afterwards from single frames captured by the lander and first appeared on the CNTV website, but was later posted on Universe Today in a corrected version because the original was actually upside down. Some people are arguing that this is not only the beginning of a new space race, but we’re right in the middle of it with China having painted the Moon red now. But can there really be a race if there is only one participant? China’s Moon mission is not empire building and we are not in the 1960s anymore – of course there’s a fair amount of smugness and bravado on their side, but considering it could also have been NASA taking this step and only politics and finance, but not technical reasons have prevented it, it’s only fair to say that the Chinese deserve all the applause for their successful mission. There’s an interesting article on Space.com about the political background of NASA’s non-cooperation with the Chinese space agency – the ESA has even helped the mission with providing communication links through their network of radar dishes. And I’m sure that there will not be a space war on the moon with lasers shooting down satellites and other science-fiction stuff – there are scientists at work and not power-hungry madmen after all. For all Mankind, as the old saying goes. As I was thinking about writing this article this afternoon, I was watching two American astronauts performing a spacewalk on the ISS to replace the defective cooling pump that had raised the interest of the media in the last week considerably. Nobody really talks about the space station much anymore and everybody takes it for granted – but if only the slightest thing goes wrong, sensationalism takes over and even allusions to the Gravity movie are made. But is everything so bad, is the space station falling to pieces? Not by a long shot – like every facility, the station just needs some occasional repair work. The best headline came from Universe today, reading Astronauts get three Spacewalks as an early Christmas present – because that’s what it really is. The spacewalks are extremely strenuous, but every chance to go outside of the spacestation is a treasured adventure for the astronauts. And yes, the water leak problem which hindered Luca Parmitanos spacewalk has been fixed according to NASA, and the only problem more than five hours into the first of three spacewalks seems to be that Rick Mastraccio seems to be understandably groggy and has called it a day after the defective pump was removed. There are two more spacewalks on the 23rd and 25th planned, but everything seems to have gone very well and Rick Mastraccio and Mike Hopkins had actually worked ahead of schedule so that the third spacewalk may not be necessary after all. And last, but not least… remember that Canadian with the guitar? I can’t believe it’s already so long ago, but Universe Today noted that one year ago Chris Hadfield launched into space. The “launchiversary” was also celebrated by the Canadian Space agency with a wonderful little video, but Hadfield is far away from gone – he may have retired from being an astronaut, but he has written a book about his experiences, is currently on a book tour and continues to be a great spaceflight and astronomy communicator. Some more random bits: It’s the 45th Anniversary of Apollo 8’s flight around the moon – NASA has re-created the famous earthrise in a wonderful video and space historian Amy Shira Teitel is live-tweeting the events in near real-time. Also, happy Winter Solstice – we are over the hill and the days are finally getting longer and the nights shorter again! Unfortunately we did not get a comet for christmas since ISON seems to have been vaporized by the sun after all, but there’s always the Curiosity Rover available as a Lego set now :-). Of course, there’s much more going on and I haven’t even mentioned Mars in this posting – but if you follow all the usual channels, you may already be up to date. Usually I don’t bother much with this kind of article anymore, but maybe I will continue to do a monthly roundup of space-themed stories. Soon I will also re-post and update my old podcast and hangout recommendations, maybe even before the holidays. 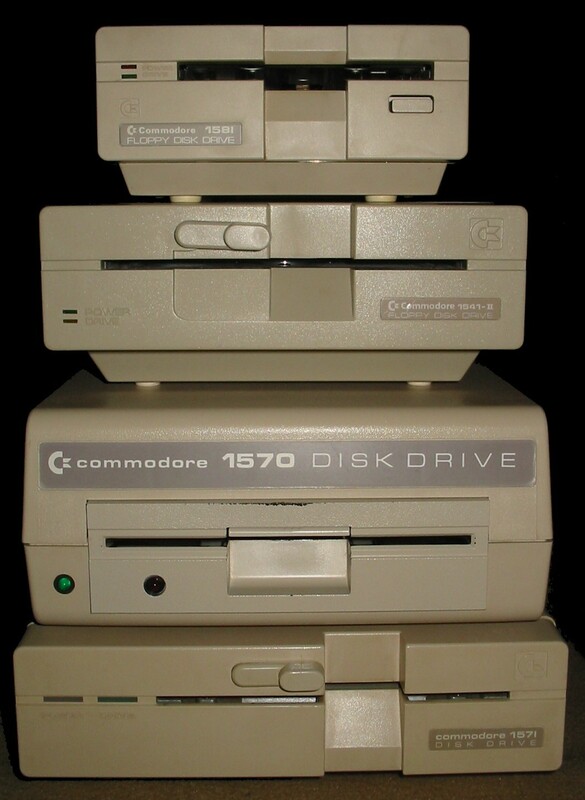 Last Sunday’s post about the Floppy Drive Mountain was a lot of fun and got an amazing amount of feedback and comments over on Google+, but today I’m going for something much more mundane: the Commodore Datasette. It was the cheap alternative to the floppy drive – using regular audio cassettes for data storage was a pretty good idea going back to the earlier Commodore computers like the PET, which actually had a built-in tape drive in its first incarnation. So it was only logical that the Commodore 64 should also benefit from this simple and inexpensive alternative to the much more expensive disk drive, but it didn’t last long until the floppy drive took over and the cassette drive was almost obsolete in the Commodore world. 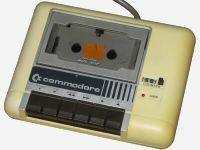 But many other 8-bit home computers like the Atari 400/800 and the Sinclair ZX Spectrum also relied on cassette data storage, the Amstrad CPC even came equipped with a tape drive in the computer itself. When I got my Commodore 64 back in March 1989, I actually got it together with the Datasette pictured above. It’s the 1530 or C2N, one of only two different models produced for the Commodore 64 – it was actually a pretty cheap affair, a somewhat rickety and noisy cassette drive with some basic electronics inside. It was extremely cumbersome to use, the loading and saving of programs took a long, long time, sometimes up to 20 minutes – the speed was actually about 50 bytes per second. It was possible to fit up to 120-130 kilobytes on a 30-minute cassette side, so the storage space was actually quite roomy. The datasette was also very reliable if you used good tapes, but finding your program on a cassette full of saved files could take some time because you had to load through all the files saved before it if you didn’t write down a counter number to spool to. Together with my C64 and Datasette, I got a few games on tape just to try out the computer, but these were actually quite boring and disappointing. Later I found out that I had accidentially grabbed some from a line of cheap budget releases from a british company called Mastertronic – the best thing with these games, which would load for more than ten or fifteen minutes, were the cassette covers, title graphics and tunes! Some of the games even had a Space Invaders mini-game clone running during the loading process, which was a pretty nifty programming trick, but the games themselves were still rubbish. This was mainly because all the really good Commodore 64 games at that time were not even sold on tape here in Germany anymore and only some cheap stuff was still available. Because of the limited software available on cassette, the Datasette didn’t last long and I got a proper floppy drive, the famous 1541-II, only about four or five weeks after the computer itself. 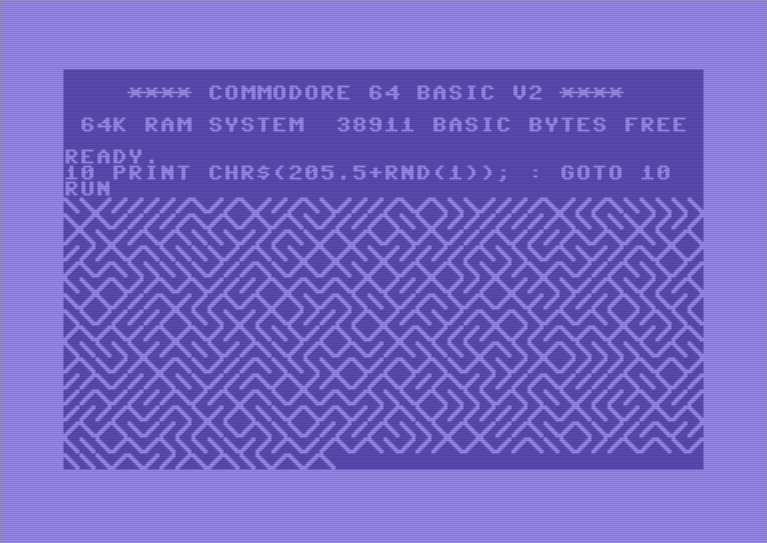 The Datasette was simply a beginner’s mistake and the floppy drive finally made my Commodore 64 a proper computer. I still held on to the Datasette and I’ve still got it today, but I think it doesn’t work properly anymore – when I pulled it out of its package a few years ago, the motor refused to start. Maybe it just clogged up after not having been used for so long, something which never happened to my floppy drives! Another six months have come and gone and it’s again time for a new version of WordPress, this time with a complete visual overhaul of the admin interface. I like the slick new design with OpenSans as the new default font and while there are a few isolated things I don’t particularly like, I upgraded my websites anyway. But after each major upgrade, I have to redo a couple of small alterations in the code to make the built-in editor a little more comfortable – even with version 3.8 they are still necessary, so here they are again with some minor amendments. HTML-Editor: The HTML source editor has been using Consolas as a fixed-width font since version 3.2, but the line height is still a bit to generous especially on smaller screens. The corresponding CSS definition can be found in the file wp-includes/css/editor.css, in which it is possible to change line-height: 150%; in the definition wp-editor-area (formerly textarea.wp-editor-area) to 120% or another desired value. Visual Editor: The display font of the visual editor is still Times New Roman, but it can be changed in the CSS file wp-includes\js\tinymce\themes\advanced\skins\wp_theme\content.css by altering the font definition in the main .body tag from font-family: Georgia […] to another font like Verdana. There is also now the possibility to let the current theme decide what font is used in the visual editor – this apparently works by placing an editor-style.css file into the CSS directory of a theme, but it seems the only theme that supports it is the new TwentyFourteen coming with this new release of WordPress, which switches the font to OpenSans. I have not yet found out if the font style of the visual editor can be changed directly from the CSS of a theme, but it seems that the new default theme calls up the editor-style.css to make exactly this happen. Get Shortlink: The shortlink button next to the permalink line sometimes pops into the next line on displays 1024 pixels wide, but the button description can be changed into something less huge. Searching for the string “Get Shortlink” in the file /wp-admin/edit-form-advanced.php and just changing it into something else does the trick. The button can, of course, also be completely removed by deactivating the Jetpack module WP.ME-Shortlinks, but this is of no use if the feature is needed and the button is still too big. And, of course, it needs to be said that I do not provide any guarantee for these “hacks” – you have to know what you’re doing if you are tinkering around in the innards of the WordPress system files. But if you’re careful and know your way around, these changes will not harm you WordPress installation at all – they are only a cosmetic makeover and no change in the program code is made. 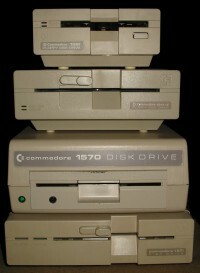 The 1571, which was also built into the C128D. It’s a double-sided 5.25″ drive with two read/write heads that was introduced in 1985 shortly after the C128, but it is also compatible with the C64. It has a built-in power unit, making it much larger and heavier than the 1541-II, although the case looks somewhat similar. The capacity, when used in its double-side mode, was about 340 kilobytes. This particular drive came with the C128D and C128 I bought in 2003. I gave this one away together with the C128 and the 1570 to a friend a long time ago, but got another 1571 later from Ebay. The 1570 was the predecessor of the 1571 and is actually more shaped like the original 1541 with its frontal latch rather than a handle to lock the disk. This drive was produced before the 1571 was ready to give the C128 a faster drive than the C64, although it only has one read-write head and a capacity of 170 kilobytes like the 1541. It also has an internal power unit, which makes it weigh even more than the 1571 because of its heavier drive mechanics. I got this drive also together with the C128D and C128 in 2003. The 1541-II was introduced in 1988 after two previous versions of the original 1541, which had a much larger case similar to the 1570. This is the garden-variety single-headed drive which you can use with every Commodore 64 and it is also the most long-living of all 1541s, because it has an external power brick and very robust mechanics. This drive is actually my original one from 1989, which I can recognize from the swapped LED colours of green for power and red for the drive. Despite its robustness, the head motor of this one died sometime in 1994, but I soon got a replacement with my first C128D. Thanks to the several Ebay auctions today I have three other working 1541-IIs, one even in its original packing. The 1581 made its first appearance in 1986 and was, like the 1571, specially designed to work with the C128 with a special high-speed burst mode, but also worked with the C64. It was the only 3.5″ drive for the 8-bit computers from Commodore and with its giant 800 kilobyte capacity of more than two and a half double-sided 5.25″ disks made it seemed almost like a harddrive. Originally, the drive was much more expensive than its 5.25″ counterparts, but to my surprise I found a 1581 in a local supermarket for a surprisingly low price when I was still using my Commodore 64 in early 1990. The drive became very useful with the graphical operating system GEOS, meaning that I did not have to switch disks at all anymore. I haven’t used it in a long time because it has a broken power switch which I have not been able to properly bypass, but I assume it’s still in good condition. When I used it together with one of my C128Ds to transfer all my disks to the PC, it still worked perfectly. So this is my mountain of Floppy Drives. I took this photo shortly before I sent the bottom two drives together with the C128 away, so I can’t recreate it today, but save for the 1570 (which is not actually very useful) I still got all these drives here in good working condition. Bonus picture, but after the fold so the article doesn’t get too long in the main list: some more 5.25″ disks, this time empty ones I bought on Ebay some time back just in case.